File Investigator Tools пригодится в первую очередь тем, кто частенько забывает, в какой отдаленный уголок жесткого диска закинуты архиважные файлы. Очень полезная программа, позволяющая увидеть всю подноготную практически любого файла (поддерживается более 3600 форматов). 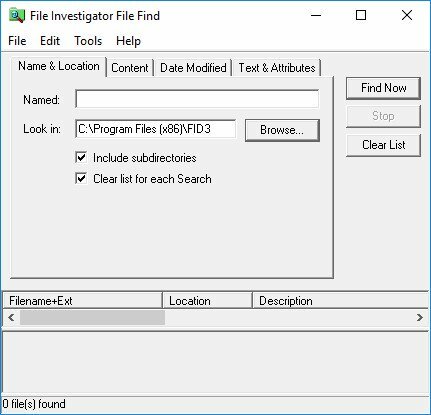 FileInvestigator TOOLS (FI TOOLS) includes both FI File Find and FI Directory applications, which identify more file types with higher accuracy than any other product available. Imagine searching for files by categories rather than having to specify file extensions or a few file types. You can do that now, from Windows and from the command line. Visit the FI File Find page to see how easy it is to search by categories like Graphic Images, Personal/User Data, Spreadsheets, Digital Audio and Palm OS related files. Or, visit the FI Directory page to see how you can perform the same operations directly from the command line or batch files.